In a city whose architecture was playfully eclectic, no one played over such a variety of styles as Alessandro Loria, an Italian Jew from Tuscany who built the Italian Hospital at 3 Rue du Palais to the east of the Rond Point (now Sharia Dalal Dessouki off Midan Wabour el Maya); the Jewish Hospital at 40 Rue Moharrem Bey; and the National Bank of Egypt with its mosaic medallions and ascending arabesques on the Rue Talaat Harb in the centre of town. The one-time Lido House Hotel designed by Loria. Loria also built several of the most delightful buildings along the sweep of the Eastern Harbour, including the Venetian-style Lido House Hotel. Long since given over to offices and rented rooms, the one-time Lido's crumbling though delicate tracery of arches and its intricately patterned coloured brickwork still lend the Corniche a carnival air. But Alessandro Loria most famously left his mark on the city with the Hotel Cecil, a crenellated moorish palace overlooking the Eastern Harbour near the Italian consulate. Alessandro Loria's Hotel Cecil in the 1930s. 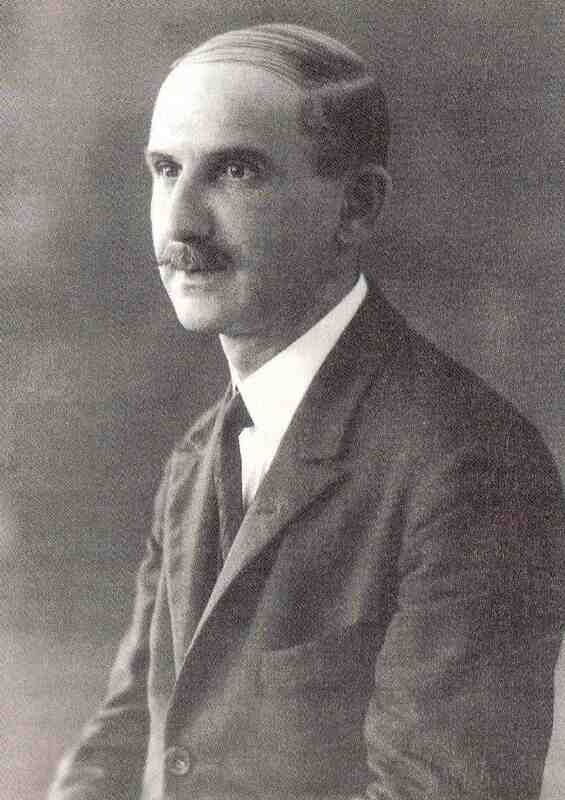 Loria was commissioned to build the hotel by Albert Metzger, a Jew from Alsace who during the First World War had discovered the inconvenience of having a German passport and therefore being an enemy alien and had since become a British citizen. When he opened his hotel in 1929, Metzger at first called it the Regina Palace but within a year renamed it the Cecil. 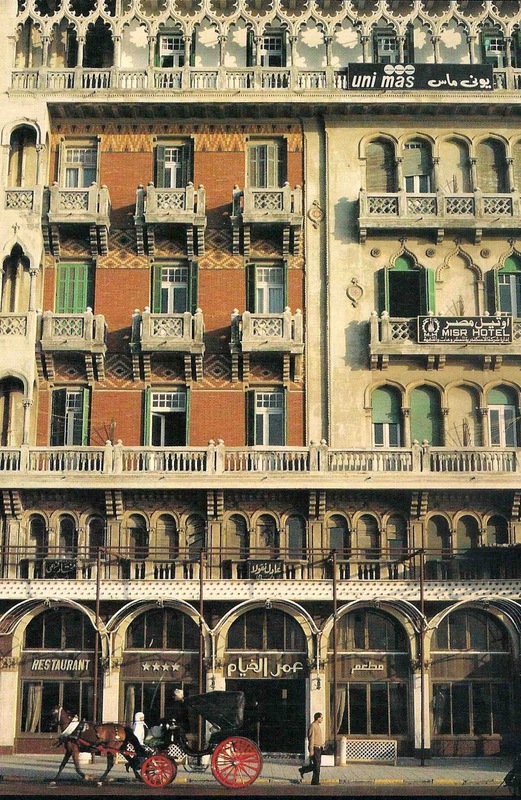 It was immediately recognised as the finest hotel in Alexandria, and for Lawrence Durrell 'it was always preferable to Cairo's Shepheard's Hotel because of its proximity to the sea'. 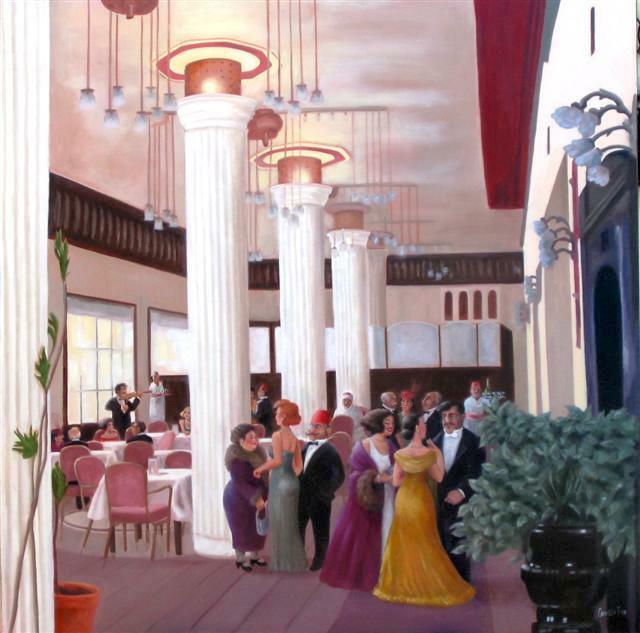 The Cecil became a recurrent landmark in The Alexandria Quartet where Justine 'would perhaps be waiting, gloved hands folded on her handbag, staring out through the windows upon which the sea crawled and sprawled, climbing and subsiding, across the screen of palms in the little municipal square which flapped and creaked like loose sails'. The entrance to the Cecil today. 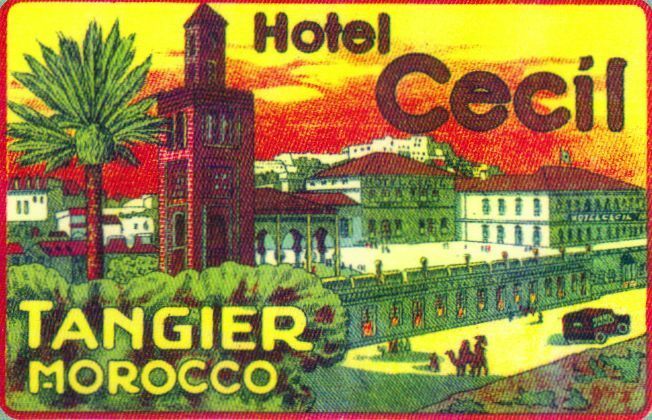 The Hotel Cecil was seized by the Egyptian government after Nasser’s coup d’etat in 1952, and five years later the Metzger family was expelled from the country. In 2007, after a lengthy court battle, legal ownership of the hotel was returned to the Metzgers, who subsequently sold it back to the Egyptian government who now lease it to the French hotel chain Sofitel. But why did Metzger call his hotel the Cecil? The explanation is found in London where the Hotel Cecil, larger even than the Savoy, was built in the 1890s between the Thames Embankment and the Strand on land that had recently been sold by Lord Salisbury, the Prime Minister, whose family name was Cecil. Even larger than the Savoy, the Cecil was the largest hotel in Europe when it opened, with more than eight hundred rooms. London's Hotel Cecil was largely demolished in 1930 and Shell Mex House was built on the site. Shell Mex has since moved and the building is known as 80 Strand. The Strand facade of the hotel remains, now occupied by shops and offices, while at its centre a grandiose arch leads to the 80 Strand building proper which, among other things, has become the headquarters of the Penguin publishing group. Hotels round the world named themselves the Cecil after the grand hotel in London. 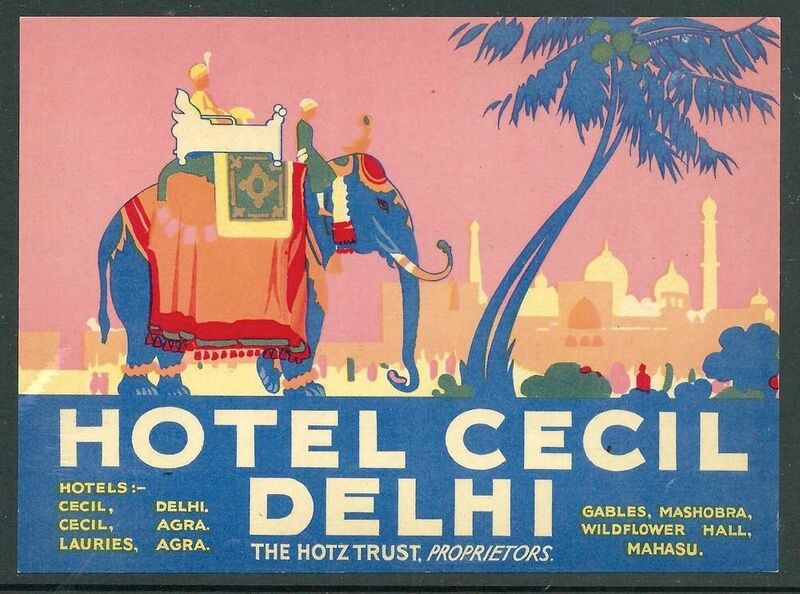 Delhi and Agra, Patras and Brussels and Seville, Los Angeles, Vichy and Tangier all had Hotel Cecils. But Metzger had another and more cogent reason for naming his hotel the Cecil. Cleopatra's Needles in Alexandria, 1853. The standing one went to New York's Central Park; the one lying prone now stands on the Thames Embankment in London. 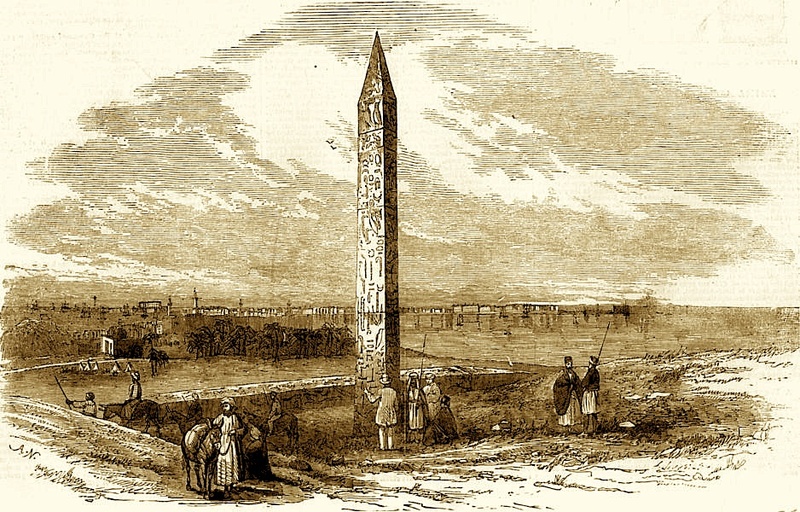 Just twenty years before the London Cecil was built, Cleopatra’s Needle was raised on the Thames Embankment. A gift from the Egyptian government, the obelisk had originally been raised by Tuthmosis III at Heliopolis for sun worship but the Romans brought it to Alexandria where they erected it, along with another, in front of a temple that Cleopatra had begun for one lover, Julius Caesar, and completed in honour of another lover, Mark Antony. The Caesareum, as it was called, stood directly outside what is now Alexandria’s Hotel Cecil, while the obelisks themselves stood on the site of Alexandria’s Hotel Metropole. 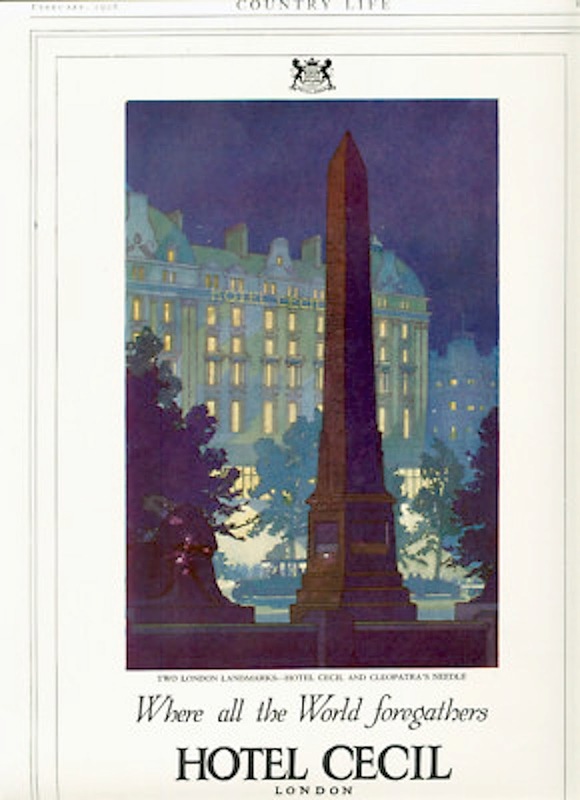 One obelisk was given to the United States and now stands in New York’s Central Park, the other was given to Britain and now stands on the Thames Embankment. 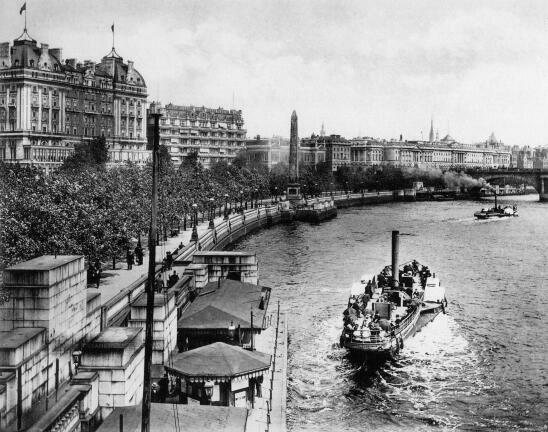 In this early 20th century photograph, London's Hotel Cecil is on the left, overlooking Cleopatra's Needle at the centre of the picture. For two thousand years Cleopatra’s Needles stood near Alexandria’s Cecil Hotel but now they are gone. How long London’s Cleopatra’s Needle will remain standing on the Thames Embankment remains to be seen. 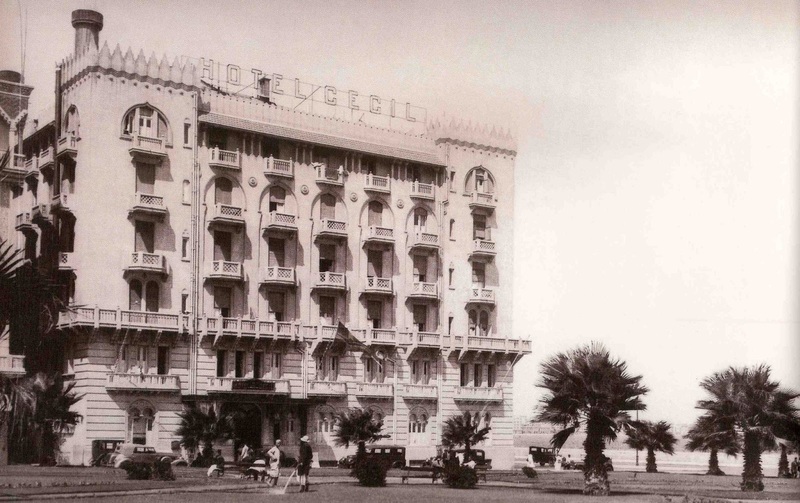 Certainly London’s Hotel Cecil is long gone – except as a distant memory preserved in the name of Alexandria’s most famous hotel. For more about Alessandro Loria and Alexandria's Hotel Cecil, see Michael Haag's Vintage Alexandria and his Alexandria: City of Memory. 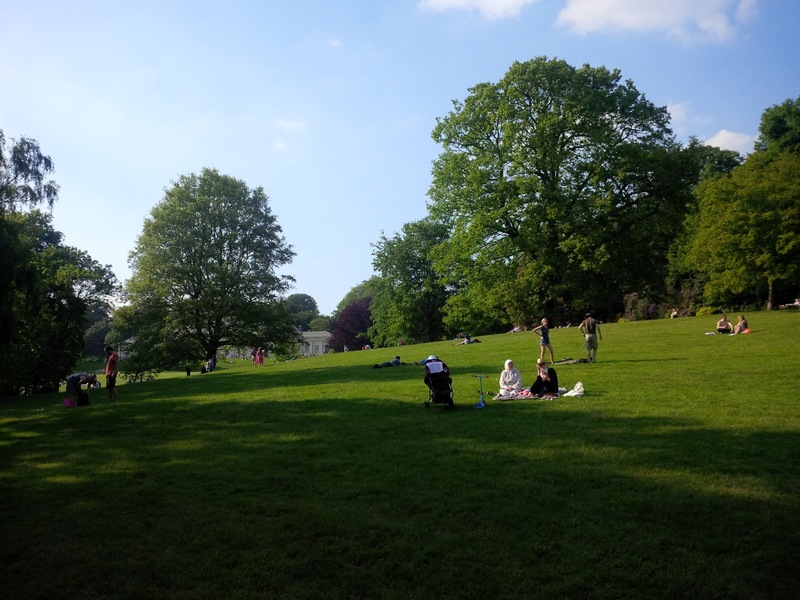 The grounds of Kenwood House this afternoon. at Kenwood in London today. It has been a beautiful day today in London, bright sun and blue skies and so warm that Camille Fox nearly expired and had to be seated in the shadow of a large umbrella on the dining terrace at Kenwood House where we had lunch. 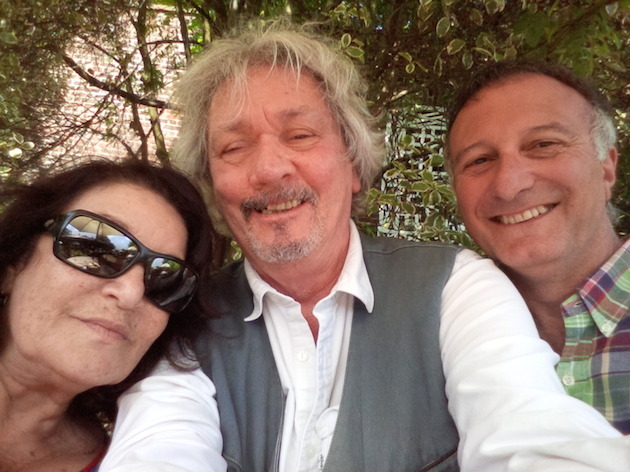 Camille and her husband Tony are passing through London on their way to Sydney from New York where Camille opened an exhibition of her paintings, Memories of a Vanished Past, at the Artifact Gallery in Manhattan. Camille was born and raised in Alexandria, Egypt; her childhood memories there and the stories of her parents have become the stuff of many of her most delightful paintings - which have also been inspired, I am pleased to say, by the photographs in my book Vintage Alexandria. Click here for an earlier post on my blog about Camille. 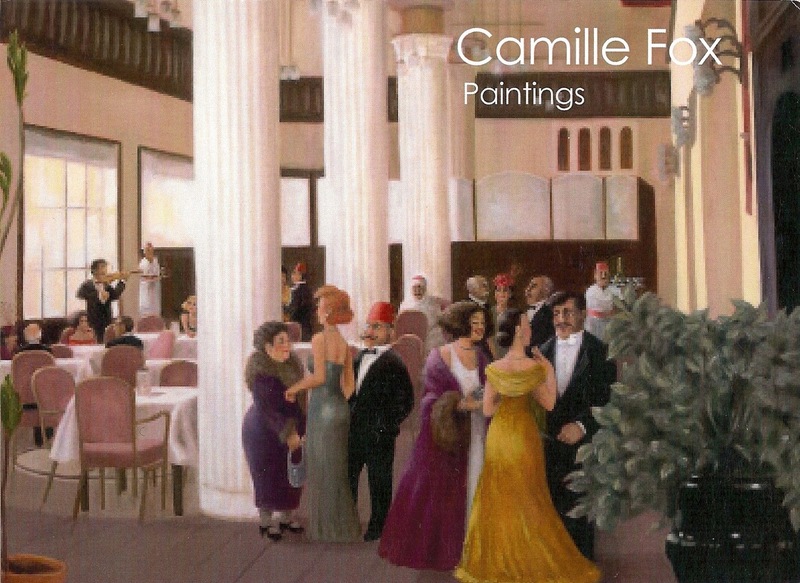 The full range of Camille's paintings can be seen by clicking on her website here. 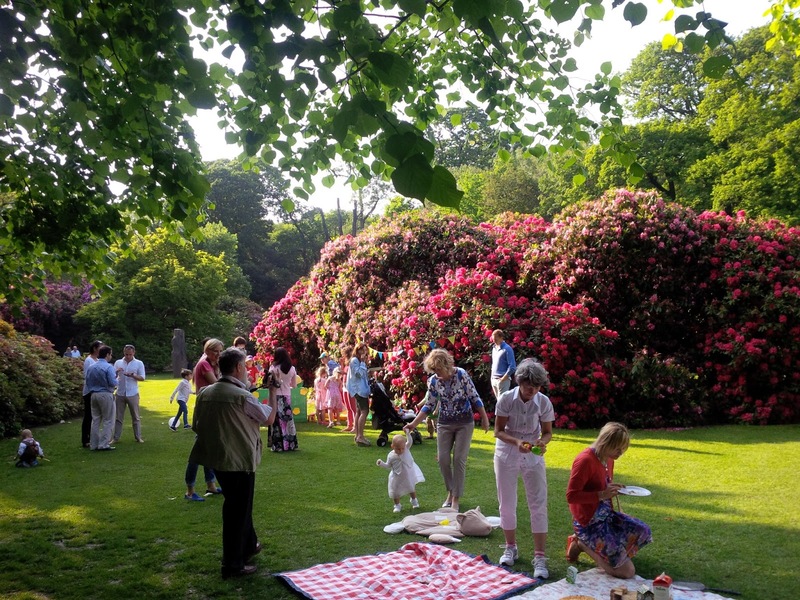 Picnicking amidst mountains of flowers at Kenwood. After lunch on the terrace at Kenwood House we went for a stroll in the grounds where seeming flocks of tropical birds - as the English become the moment there is a bit of sun - were flapping their wings, preening their feathers and feeding their young. 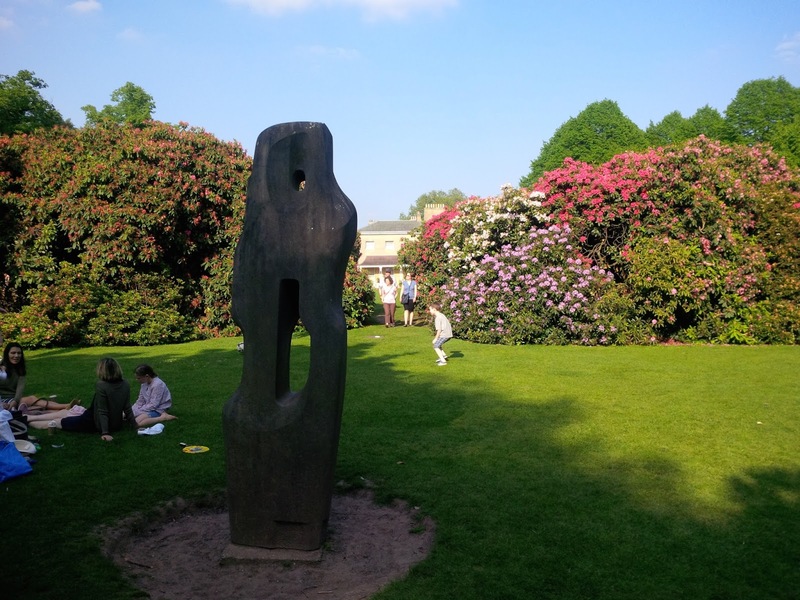 in the grounds of Kenwood House. 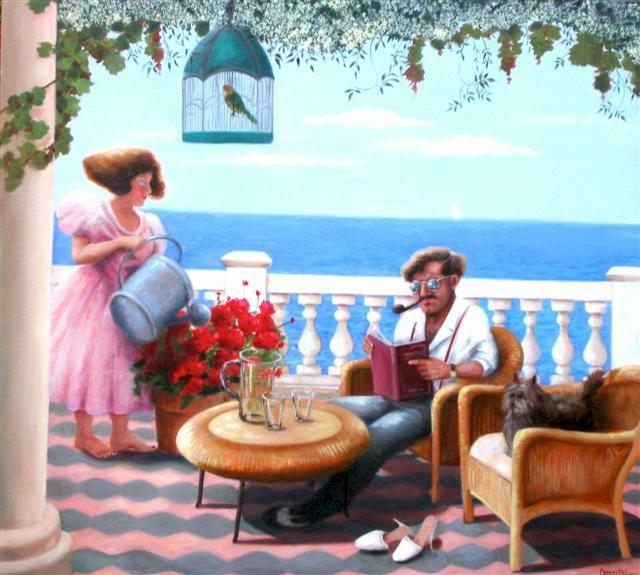 I very much enjoy Camille's Egyptian paintings which capture with charm and humour the days when Alexandria was a cosmopolitan city. 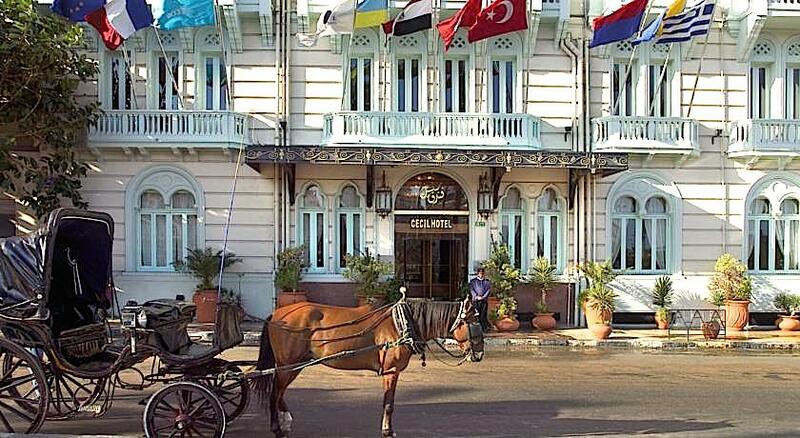 Athinaios, a famous restaurant and café along the Alexandrian Corniche. 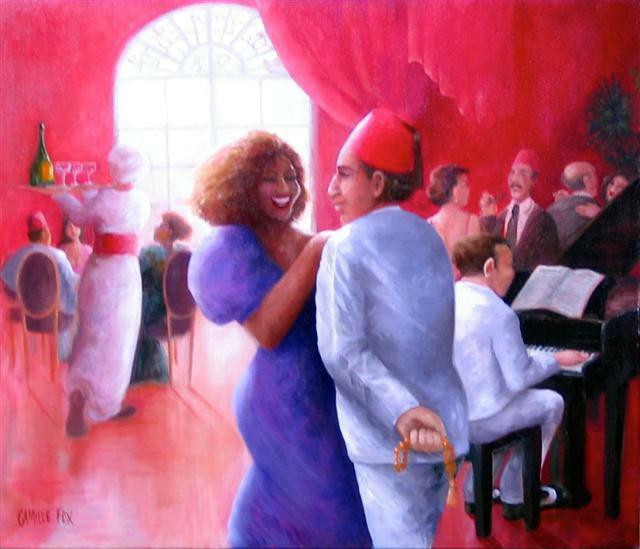 Dancing at someplace like the Cecil or Monseigneur in Alexandria. 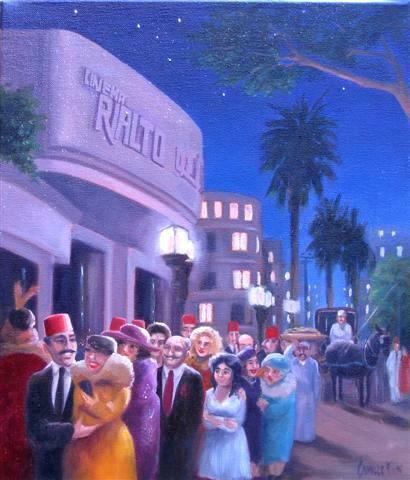 The Rialto Cinema, an Art Deco landmark in the Rue Safia Zaghloul, where Lawrence Durrell and his girlfriend Eve Cohen went to see Casablanca during the war, in 1943. Very recently, suddenly and covertly, the Rialto was torn down; another piece of Alexandria lost. An afternoon on the Mediterranean in Ramleh. 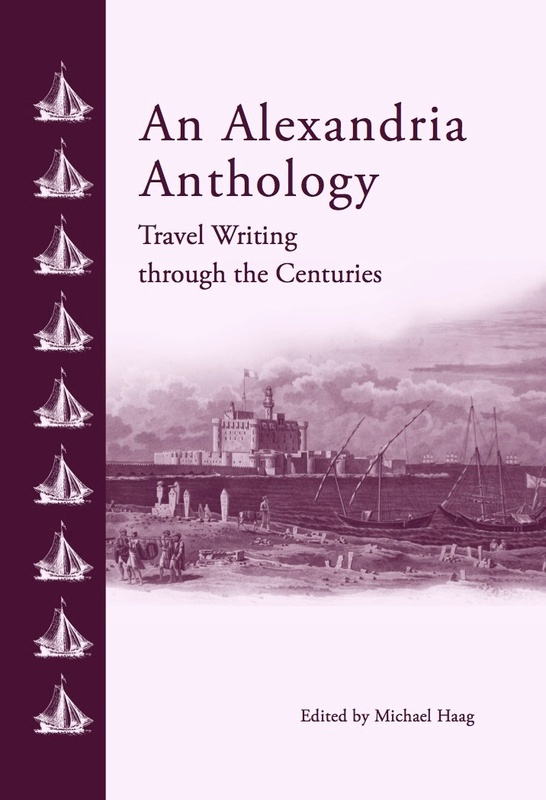 An Alexandria Anthology edited by Michael Haag will be published by The American University in Cairo Press in December 2014 and will be available worldwide. The publisher's blurb runs as follows. Founded by Alexander the Great over 2300 years ago, Alexandria has belonged both to the Mediterranean and to Egypt, a luxuriant out-planting of Europe on the coast of Africa, but also a city of the East - the fabled cosmopolitan town that fascinated travellers, writers, and poets in the nineteenth and twentieth centuries, where French and Arabic, Italian and Greek were spoken in the cafés and on the streets. In the pages of An Alexandria Anthology we follow the delight of travellers discovering the strangeness of the city and its variety and pleasures. Most of all they are haunted by the city's resplendent past - the famous Library, the temple built by Cleopatra for Antony, the great Pharos lighthouse, one of the seven wonders of the world, of which only traces remain: we follow our travellers here too as they voyage through an immense ghost city of the imagination. The Gospel of Jesus' Wife - A Forgery? 'Jesus said to them, "My wife ..."'. Those are the words written in Coptic, the language of ancient and Christian Egypt, on a small piece of papyrus that was placed in the hands of Professor Karen King of Harvard University. King herself named the fragment The Gospel of Jesus' Wife and when she announced its discovery in September 2012 in this New York Times report it had a sensational impact round the world. 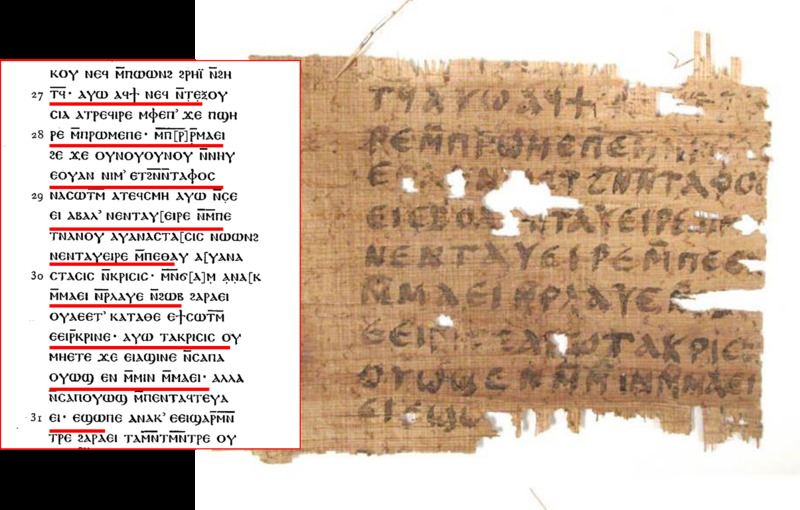 There were some sceptical voices and so a series of tests were run this year and published in April by Harvard University on their Gospel of Jesus' Wife website, seemingly authenticating the ink and the papyrus itself. The forged Gospel of John fragment copied every other line from a 1924 publication; scholars say that Karen King's so-called Gospel of Jesus' Wife came from the same hand, using the same ink and pen, as this Gospel of John forgery. But the information posted on the Harvard website raised new questions and within days numerous authorities in Coptic and Early Christianity were saying that King's papyrus was a forgery, that it had come from the same hand, using the same ink and the same writing instrument as a supposed Gospel of John fragment that is widely considered to have been copied from a papyrus fragment published by University College London in 1924. 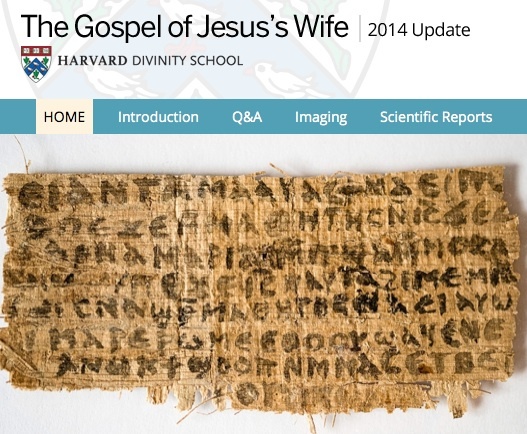 As an article in The Wall Street Journal reads, 'In September 2012, Harvard Divinity School professor Karen King announced the discovery of a Coptic (ancient Egyptian) gospel text on a papyrus fragment that contained the phrase "Jesus said to them, 'My wife . . .' " The world took notice. The possibility that Jesus was married would prompt a radical reconsideration of the New Testament and biblical scholarship. Yet now it appears almost certain that the Jesus-was-married story line was divorced from reality'. In fact the 'gospel' is considered so crude a forgery that it is hardly taken seriously as a forgery at all and is seen as more in the nature of a student prank concocted in the course of an afternoon - with the real possibility that the prankster will now simply disappear, leaving Karen King abandoned along with the supposed wife of Jesus. 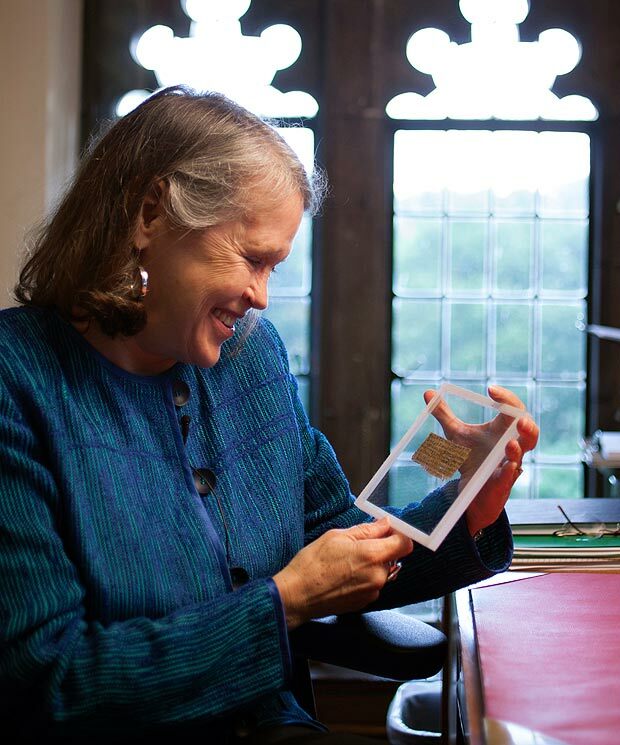 Karen King with the fragment of her Jesus' Wife gospel. That is indeed remarkable. In fact it was remarkable from the start, for the papyrus fragment was put into King's hands without any proof of its provenance - and she never seemed to think that mattered. The problem seems to be that Mary Magdalene has become a feminist icon and that sometimes the questions surrounding Mary Magdalene are addressed only in feminist terms, excluding other possibilities. This is something I mentioned in an earlier post on Mary Magdalene. Feminists - or perhaps one should just say women - in academic positions in British and American universities have for some time now been pushing Mary Magdalene as an overlooked, disregarded, suppressed, denied and slandered figure in Christianity. Their efforts should be welcomed, but it is simplistic and essentially wrong to say the depreciation of Mary Magdalene has been caused by a conspiracy of men against women. Rather Mary Magdalene has fallen foul of a profound argument over the apprehension of the divine, in which the established, ritualised and hierarchical Church requires that God be mediated through itself, whereas everything about Mary Magdalene suggests a more immediate and personal experience of the divine. For details of the scholarly debate on Karen King's Gospel of Jesus' Wife you could for a start see the blog of Mark Goodacre, professor of Early Christianity at Duke University here and here; and also Michael Grondin's Gospel of Thomas Resource Centre, here and here.